***UPDATE*** If you are having issues getting to the chipin.com site, please go directly to PayPal.com and donate to DeanMacKayPhoto@gmail.com. If you would, please also leave a comment here or email me at the above email address. Reef Carneson was born on September 17th, 2008. 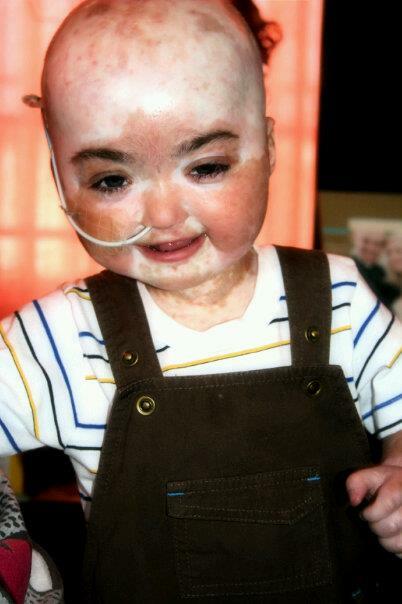 At just 5 months old, he was diagnosed with acute lymphoblastic leukemia. At less than a year, he received a bone marrow transplant. As a result of the transplant he now has Graft Vs. Host Disease (GVHD) (http://en.wikipedia.org/wiki/Graft-versus-host_disease). Unable to receive the treatment he needs in his native South Africa, his family sold everything they own and moved to Los Angeles just a week ago to get treatment at Children’s Hospital LA. This treatment is unbelievable expensive. It will cost them $500,000 for two years worth of treatment and they need to come up with a $110,000 deposit to begin treatment. It is urgent that we raise the deposit as soon as possible so that Reef can begin treatment. Every day that he is not in treatment is a day that he is not getting better. My birthday is here and there’s only one thing I want this year and that’s to get Baby Reef the treatment he so desperately needs. I’ve spent some time with Reef and the whole family in the past week and want to do all that I can to help him. But I can’t do it alone. I need your help. Please join me in helping to get Reefie on the road to a healthy and pain free life that all little children should have. Please show them your generosity by donating any amount you can afford. *I’d be eternally grateful it if each of you would donate at least $10. Given the sheer amount that needs to be raised, if you can afford more, please consider donating more. I understand that some of you may not be able to afford that and every little bit helps. And, if you can’t afford to donate, I hope that you will consider sharing this link. *Please note that I am personally collecting these funds and will give them directly to the family. « 50 Couches in 50 Nights featured in Fourx5 Magazine!